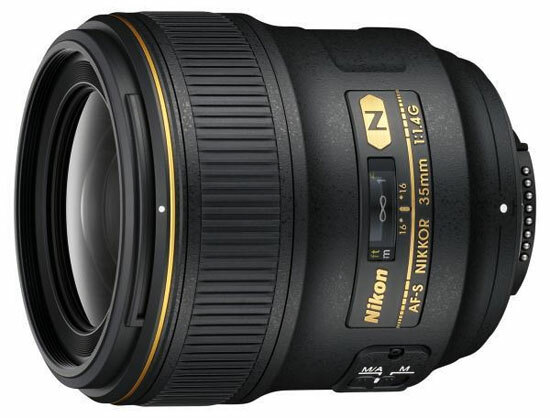 This is a prime lens manufactured by Nikon and the model was launched 2010. The lens has a focal length of 35 mm. Depending on which camera the lens is used, the experienced and perceived focal length will be different. Please visit the list of compatible cameras below, it will provide the equivalent focal length you get on each camera. The lens has a traditional filter thread on the front and its measuring 67 mm which also the filter you will use must have. If you use for example an UV filter can be a cheap insurance against scratches and dust. If you buy this lens it will come with a lens hood, whose model name is "HB-59". Enhances light transmission efficiency and offers superior color consistency and reduced flare."